Google Search Console, formerly known as Google Webmaster Tools, is a free and immensely useful service offered by Google for web administrator to track, record and evaluate their site’s performance, find issues, control the submission and removal of content, get an insight into the search queries that directed traffic to your site and keep an eye on your backlinks’ performance. Through its Search Console, Google helps webmasters gain an insight into the factors, such as bounce backs, malware, crawling errors and dysfunctional backlinks that tend to affect the performance of a website. As per an announcement made by Google recently, the new and updated Google Search Console is to be rolled out shortly, and the world of digital marketing has already started vying for what’s likely to roll out of camp Google in the form of the latest Google Search Console update. 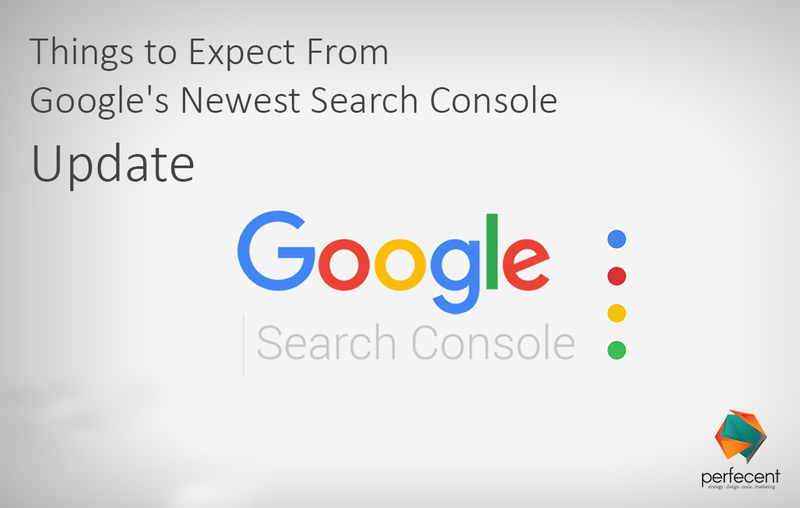 Here’s an insight into the features expected with the upcoming Google Search Console Update. With release of the all-new and updated Search Console, Google will notify all webmasters about the update and invite them to upgrade their Google Search Console to the new release. This open accessibility to Google Search Console will surely make it an indispensable tool not just for webmasters but also for digital marketers. The latest update to Google Search Console has been designed to foster a more transparent, streamlined communication between site owners, developers and webmasters, and Google, to help them identify and rectify issues in real time, and bring about constant tweaks and improvisations in design and interface to offer a seamless user experience. Aside from that, while the previous Google Search Console provided performance data for just 90 days, the new release will offer comprehensive data for up to 16 months. The latest update to Google’s Search Console has enabled it to provide the webmasters with an elaborate insight into evident as well as underlying issues. The new Search Console will provide details about the dysfunctional URLs resulting in bounce backs, along with the diagnostic tools to rectify the issue. The Job Posting and AMP reports are aimed at providing insights into error information, and help different teams collaborate on the issue, share relevant information, track warnings and request re-crawls. Aside from that, two additional features have been incorporated into the new Google Search Console. The first feature, called ‘validate fix’ runs a series of tests to evaluate the functionality and performance of a page and provides feedback in real time related to any issues it might have detected in the process. The second feature ‘ validation log’ is also focused on providing feedback during problem resolution, in the form of a list of URLs that were fixed in the process, are undergoing resolution, or have failed to be fixed.